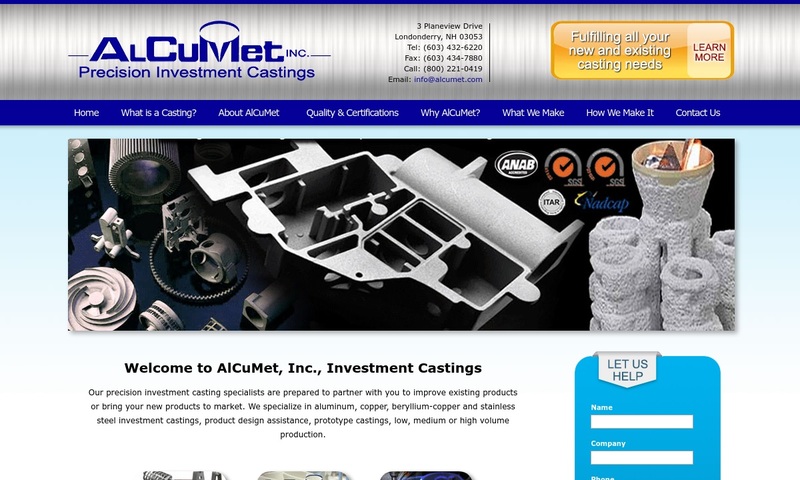 A reliable source for Investment Castings information and a resource for accessing leading Investment Castings and suppliers. Investment Casting Investment casting, sometimes precision investment casting or lost wax casting, is a manufacturing method used with metals. It involves pouring molten metal into a hollow mold shell. The shell is created by an “investment” of ceramic materials, built around a wax model. Ferralloy Inc. supplies high-quality precision castings such as investment castings in carbon, alloy and stainless steels. 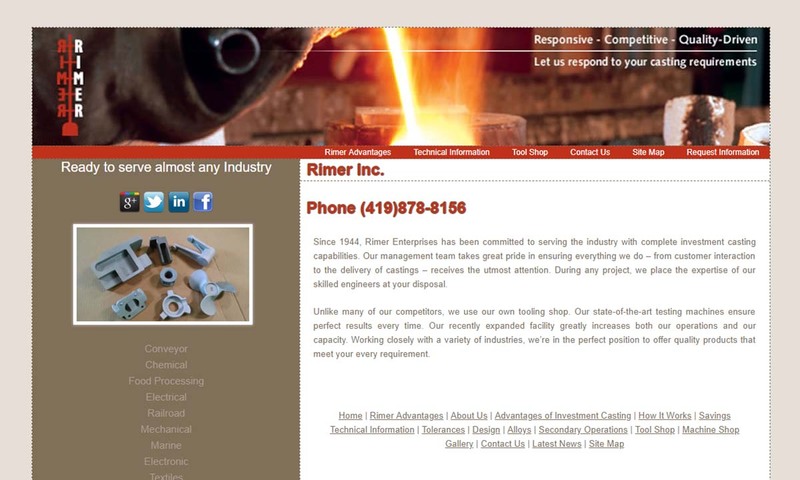 In addition, we offer heat treating and in-house machining services as well as inventory stocking programs. Since 1944 we have been driven to remain a cut above the competition in investment castings and everything we do. We have our own tooling shop filled with state-of-the-art testing machines. 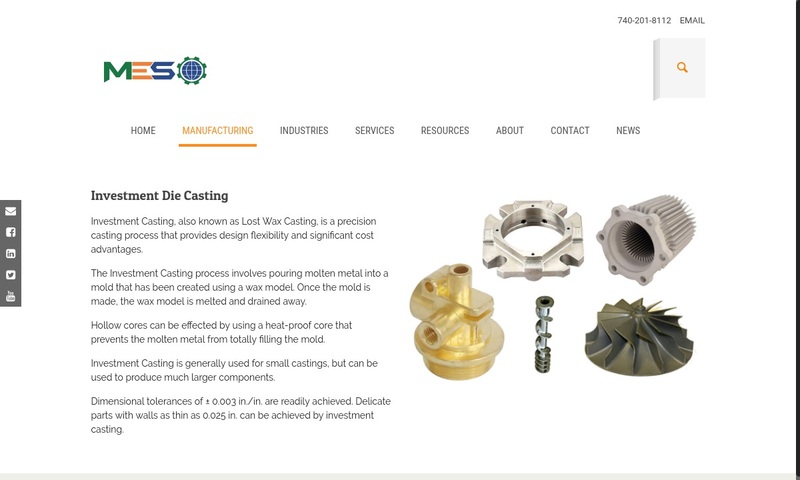 Turn to MES, Inc. for top of the line investment casting. Our fairly priced solutions are long lasting and designed with your needs in mind. When it comes to investment casting, we work with you from design to finish. Our selection of 90+ alloys pour in alloy steel, aluminum, cobalt base, copper base, nickel base, tool steel, and stainless steel. 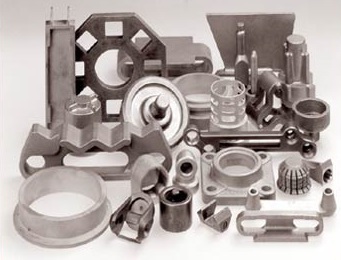 We are a leading producer of ferrous and nonferrous investment castings, steel castings (aluminum, copper, stainless) and rapid prototype castings since 1975. 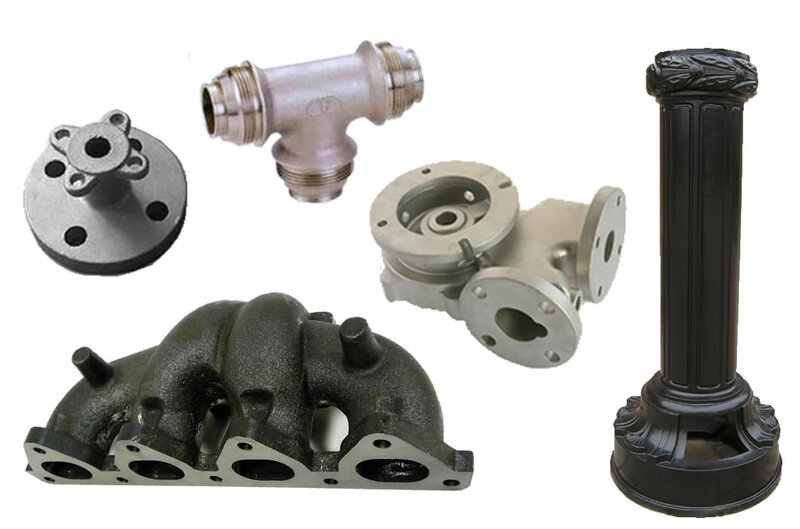 Providing investment castings (lost wax castings) is our purpose. We build the tool plus make and machine the castings, regardless if it's a single-piece order or a high-volume 10,000+-pieces-in-a-week necessity. Investment casting is used to create complex and detailed industrial parts and shapes. Customers choose to request investment cast parts because investment casting yields products with smooth finishes. Also, it allows them to work with nearly any metal. With investment casting, manufacturers create pretty much any metal product they want.  Common examples include: door knobs, medical tooling, auto parts, airplane parts, kitchenware, gearbox cases, cylinder heads, cylinder boxes, pipes, machining components and much more. 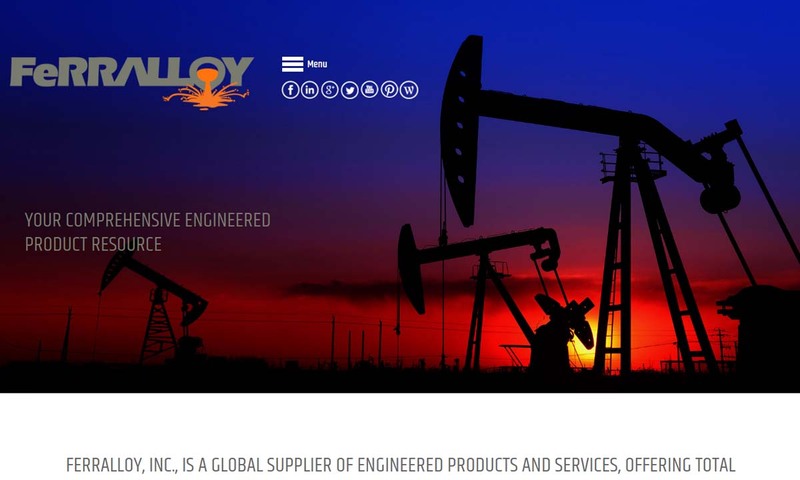 Investment Casting – Ferraloy Inc.
Investment castings are used for manufacturing in major industries like: automotive, aerospace, agriculture, chemical, defense, electrical, railroad, marine, mechanical, electronic, textile and more. Using investment casting, manufacturers can create a wide variety of products. Examples include: auto parts, aerospace grade airplane engine turbine components, agricultural machinery parts and surgical instruments. The first mention of industrial casting was recorded around 1100 AD by Theophilus Presbyter, a monk. However, we are quite certain that investment casting began long before then, more than 5,000 years ago. The earliest examples we have of investment casted parts come from ancient civilizations such as Harappa, Aztec, Mayan Mexico, the Benin civilization of Africa, Mesopotamia and ancient Egypt. In fact, investment castings have been found in the tombs of King Tut. The first investment castings were made with clay molds and natural honeycomb or beeswax for the wax pattern. To make them, people manually operated bellows as stoking furnaces. In the 1800s, dentists began using investment casting to create fillings and crowns. During World War II, manufacturers began to investment cast metal alloy parts with precision net shape and near-net shape manufacturing. Today, manufacturers make molds from a wide variety of alloys and refractory materials and use wax patterns formed from a mixture of pure and synthetic waxes. Instead of handheld bellows, they conduct casting inside cast foundries. Although many different ferrous and non-ferrous metals can be used in an investment casting, aluminum and aluminum alloys are by far the most common. Alloy steels like stainless steel and carbon steel, and metals like copper and titanium are also popular choices. Aluminum is an abundant metal element found in the earth’s crust. It is lightweight, conductive, durable, reflective and machinable. 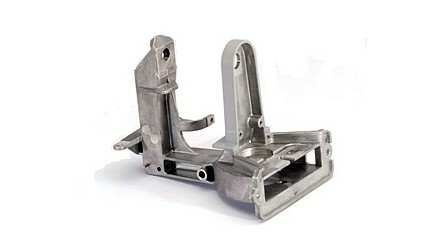 Most applications of aluminum investment casting are in packaging, transportation and construction. Stainless steel is a steel alloy, composed mainly of iron and chromium. Stainless steel strong, durable and (depending on its exact composition) resistant to heat, corrosion, oxidation and certain environment conditions. Stainless steel casting is used primarily for applications where the casting will be exposed to harsh material or elements because of its anti-corrosive properties. Copper is one of the first metals ever used by man. It is extremely ductile and exceptionally good at conducting heat and electricity. It is also used to make many non-ferrous alloys, such as brass. Because copper castings are light and strong, they are often used for pipe fittings, jewelry, mixing equipment and more. Steel is an iron alloy. Available in over 3500 different grades, such as carbon steel and mild steel, steel is stronger and more durable than iron alone. For this reason, steel investment castings are usually used to create parts that must withstand heavy loads or impacts. Titanium castings are very light while still being very strong, so they are often applied to use in things like turbochargers, industrial tools and a whole host of aerospace and defense applications components. Before they do anything else, engineers create a master pattern with which to make the product. This step can take between several hours and several days, depending on the complexity of the product to be produced. The master pattern can be sketched out on paper, but engineers also usually use CAD software and/or rapid prototype technology to help them. The investment casting process starts with the creation of a wax model that is then attached to a sprue. Hundreds of wax model molds can be fixed to the same sprue at one time; this is called a tree. The investment is a ceramic slurry compound. While the investment is being mixed, contaminants like dust particles are removed by fans and blowers to maintain purity. The tree is dipped into the investment several times before it is sprinkled with an abrasive material resembling sand. Manufacturers repeat this step until the investment around the wax, or shell, is thick enough, usually around .375 in (9.525 mm). Once the shell is thick enough, it is dewaxed. Manufacturers do this either by placing it in an industrial oven, where temperatures exceed 1000℉, or by subjecting it to autoclaving (pressure and steam). The wax might melt and drip during this time, but the ceramic shell keeps its shape. Note: the wax can be drained and recycled. 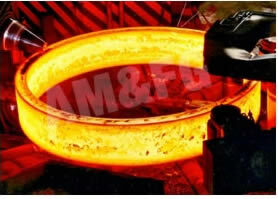 Once the mold is ready, manufacturers preheat it between 800℉ and 2000℉, and pour molten metal into the it. Once the metal has cooled to the point that it is no longer red hot, the shell around it is vibrated and blasted off. Then, the cast metal parts are cut off of the tree. Once removed from the tree, the cast metal part(s) are cleaned and finished as needed. Common finishing processes include: machining, blasting, grinding, straightening and heat treating. Note: Chemical-enhancing formulas can be added along the way to improve the material qualities of the casting for added durability. Manufacturers use various types of machinery to make wax pattern molds and investment castings. Equipment includes: aluminum dies, a gating system, industrial ovens, fans and blowers and, sometimes, a vacuum. Split cavity aluminum dies are quite commonly used to produce the right wax mold patterns. For complex, custom wax pattern creations, manufacturers can create special dies with combinations of aluminum, ceramic or soluble cores. A gating system is the structure manufacturers use to transfer molten metal into the mold. They design gating systems to transfer the metal in an even, uniform fashion. The industrial ovens that are used for investment casting have very precise temperature controls to create the right burnout. Manufacturers can adjust these controls for custom burnout and to melt the metal alloy they use for your casting at just the right temperature. Fans and blowers remove contaminants like dust particles from the investment while it is being mixed. A vacuum can be integrated into the system to prevent air bubbles from forming. Sand casting is a casting method that replaces the wax mold with a sand mold. Usually, the mold is comprised of two halves that, when joined, reflect the exact negative of the shape to be cast. To make the mold, manufacturers begin by placing a die between mold frames called flasks (the top one called the cope and the bottom called the drag). Once in place, they sprinkle it with powder, then bury it under a mixture of clay and finely sifted clay. This mixture helps preserve the piece’s smooth dimensional accuracy. After this, manufacturers immerse both the cope and the drag under the rest of the sand-clay mixture. They follow this up by tightly compacting the sand, aside from at least one opening in the cope, supported by a pipe. When they’re ready, manufacturers access the mold by removing the cope and the rest of the die. With the mold, they proceed through the rest of the casting process. Centrifugal casting is an investment casting process used specifically to create cylindrically shaped parts, such as piping. During this cast process, manufacturers usually rely on horizontal centrifugal casting machines. They place a premade mold inside the machine, which rotates it at a high speed. As it rotates, manufacturers pour molten metal in. During rotation, the force builds up to 80 to 120 times the acceleration force of gravity. This causes the metal to harden from the outside in, creating an even and balanced coat around the mold. Investment casting allows modern manufacturers to create castings with the exact same results every time. On top of that, it allows for design flexibility. Manufacturers can use carefully designed materials with varying attributes (durability, tensile strength, magnetism, etc.) in order to create products with virtually any properties. Likewise, when using investment casting, manufacturers can create parts of a wide range of thicknesses and weights (between less than 15 lbs, up to 1000 lbs). Though parts can be complex, manufacturers do not have to use lots of different tools to make them. So, tooling costs are low, especially when compared to comparable machining processes. Also, investment castings have exceptionally smooth surfaces. Another advantage of investment casting is the fact that it is sustainable; it requires little energy to perform, and you can reuse production materials. To find out if this inexpensive, reliable process is right for you, talk to an investment casting company. Now that you’ve learned all about investment casting, are you ready to find a manufacturer? If so, you’ve come to the right place. 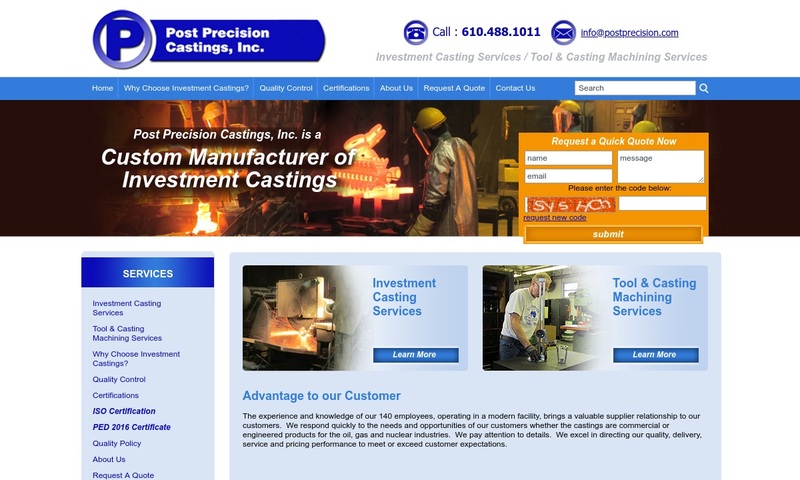 To help you on your way, we’ve done some of the work for you and have found several experienced and reliable investment casting companies. Before you scroll up to look at them, make sure you know all of your specifications. These include: the type of part you want, your request volume, your required product properties (durability, corrosion resistance, etc. ), your timeline, your budget, your standard/industry requirements and your delivery preferences. Consult with your colleagues to make sure you’ve got everything covered. Once you have your list of specifications ready, check out the manufacturers listed above. As you browse, keep your specifications in mind. 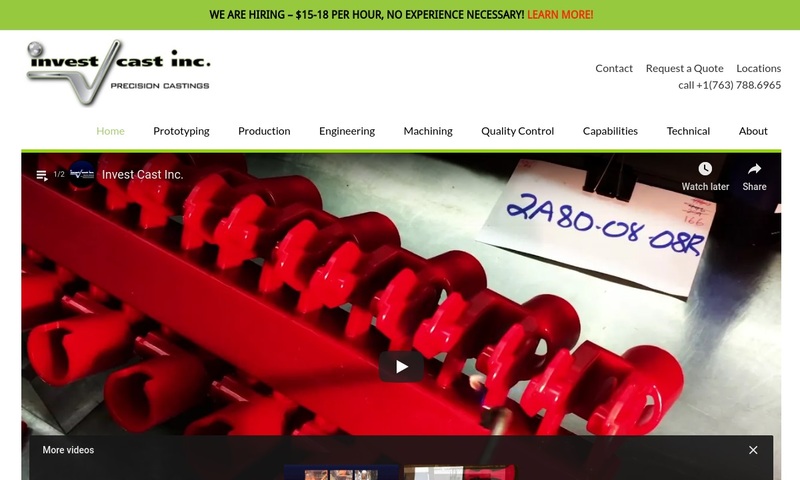 Also, look for a manufacturer that performs non-destructive testing (NDT) and in-house tooling. Non-destructive testing allows them to check a part internally for imperfections without damaging it. In-house tooling saves time and money. Pick three or four companies with whom you’d like to speak, then reach out for a quote. As to communicate with each of them, make sure not only that they can perform the job, but that they will do so with integrity. Good customer service is extremely important. Once you think you’ve found the one, reach out again and get started. Good luck!